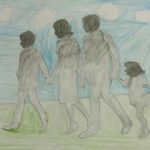 The Art of the Family Special Exhibition is coming to Summit Artspace, March 25 to April 30, for the Thirtieth Annual Child and Family Awareness Month celebration. 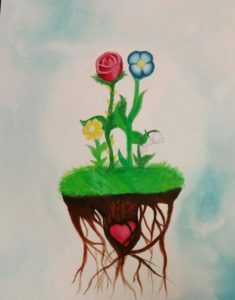 The exhibition opens Saturday, March 25 at 3 p.m. in the Summit Artspace second floor lobby where winners of the county-wide art competition will be displayed until the end of April. The month-long celebration of families is organized by Summit County Children’s Services. The agency offers activities for families, child abuse prevention trainings, parent education events and a family walk at the Akron Zoo to focus emphasis on community support of healthy families. More information is available at http://www.summitkids.org. 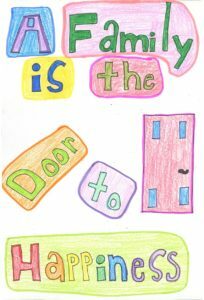 This year’s theme is “A Family is the Sunshine in my Day,” created by a student from Seton Catholic School in Hudson who won the 2016 Poster/Slogan Contest. Summit County Children Services has organized the art show with co-sponsorships from Summit Artspace, ACME Fresh Market and the Greenleaf Family Center. The exhibition will be open for the public when Summit Artspace’s main gallery is open. For March and April these dates are March 25 to April 8 and April 21 to April 30 when the show ends. The days and times are Thursdays and Fridays, noon-7 p.m., and Saturdays, noon-5 p.m. The show will be open for Akron Artwalk on April 1, noon to 8 p.m. Summit Artspace is located at 140 E. Market St., Akron. The exhibition is free and open to the public.